Sometimes God Just Gives Us a Blessing! It was a typical morning today in Houston, Texas. I got up, made my coffee, said goodbye to my son as he left for work. My couch is the usual spot for my quiet time. I balance my coffee cup on a coaster on the couch and read the Bible and pray. Today my devotional was on LAZINESS (Proverbs 13:4.) I thought about the fact that if someone writes a book, they are not lazy! It takes time, dedication, editing, more editing, and persevering. I said my prayers, wrote some notes to some friends, and got ready for my day. I picked up lunch at Taco Bell, went to Kroger, bought some Christmas presents at Palais Royal, journeyed to my friend’s house for a visit, and then returned home. I stopped at our mailbox on the way home only to be a little disappointed that there was no key in the box indicating I had a package. But, I did have a United States Postal Service Priority envelope. Honestly, I went through all my junk mail and then tackled the envelope. I saw immediately that it was from Lizzie. Lizzie (a.k.a. 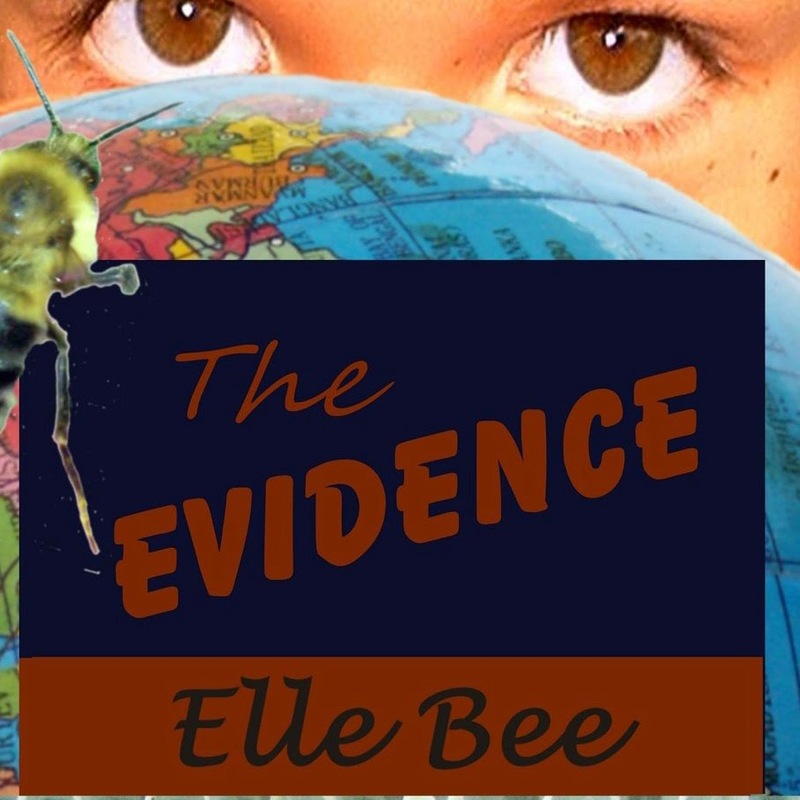 Elle Bee) is a young woman who attended the Sunday School Class my husband taught before we went on our little adventure to Nigeria. The package was opened and I was so thrilled. 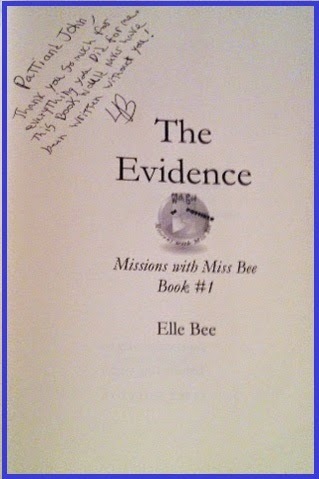 I saw a book that Elle Bee had written and published. I was so happy for her, and was totally touched when I opened the book and read her sweet note to us. It said, “Patti and John, Thank you so much for everything you did for me. This book would never have been written without you. LB.” By this point I was more thrilled about her stick-to-itiveness to finish and publish this book. Then, I turned the page, and I had to sit down – I couldn’t even stand. This precious new author dedicated the book to our family. Never before have I been so honored as in that moment TODAY. 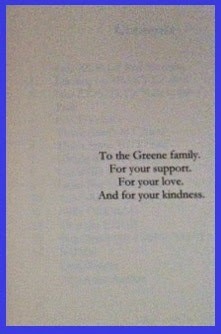 The dedication read, “To the Greene family. For your support. For your love. And for your kindness.” By this point, I knew a “thank you email” was not going to be sufficient. I immediately called Elle Bee. I congratulated her and thanked her for her kind gesture even though it did not seem like it was enough. I told her how proud I am of her for all her hard work. Love you “Elle Bee.” Because of you, I received a blessing that I absolutely was not expecting today. Thank you. Raised practically by himself, ten year old Charlie would like nothing more than to be left alone. Unfortunately, he is a magnet for attention, particularly of the negative degree. Bullying. Blame. Teacher disapproval. For the majority of his life, Charlie has been able to take the attention in a "grin and bear" it sort of way. 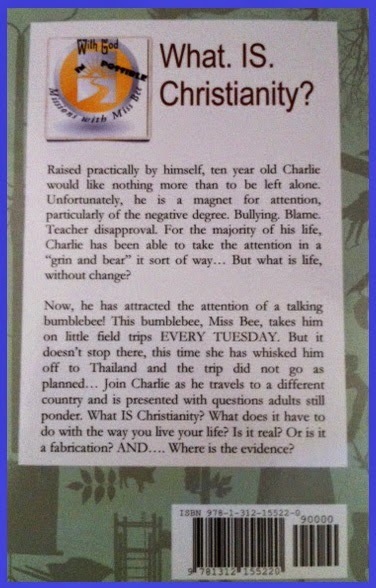 But what will Charlie learn as he is whisked off to Thailand? 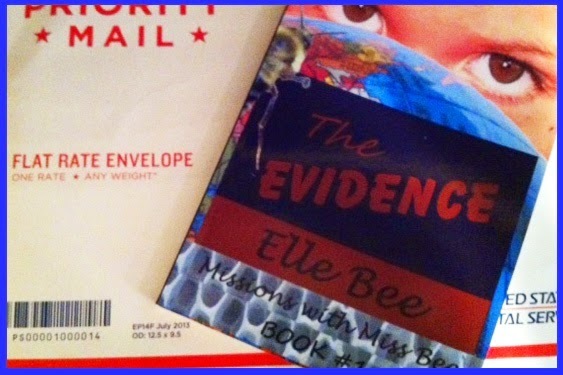 To find out more, check out The Evidence (Mission with Miss Bee BOOK #1) by Elle Bee; ISBN 978-1-312-15522-0. To read more or to order an autographed book, go to Joseph’s Grain at http://josephsgrain.org.